There are no available dates for this class at the moment please register your interest by subscribing to our e-Newsletter. This workshop is now over. Please subscribe to our newsletter to keep up to date with future workshops. We are excited to announce that our next guest artist workshop is with the widely respected Neil Hoffmann. Neil is based in Tasmania and makes abstract sculptural pieces and he also known for his softly thrown functional ware. 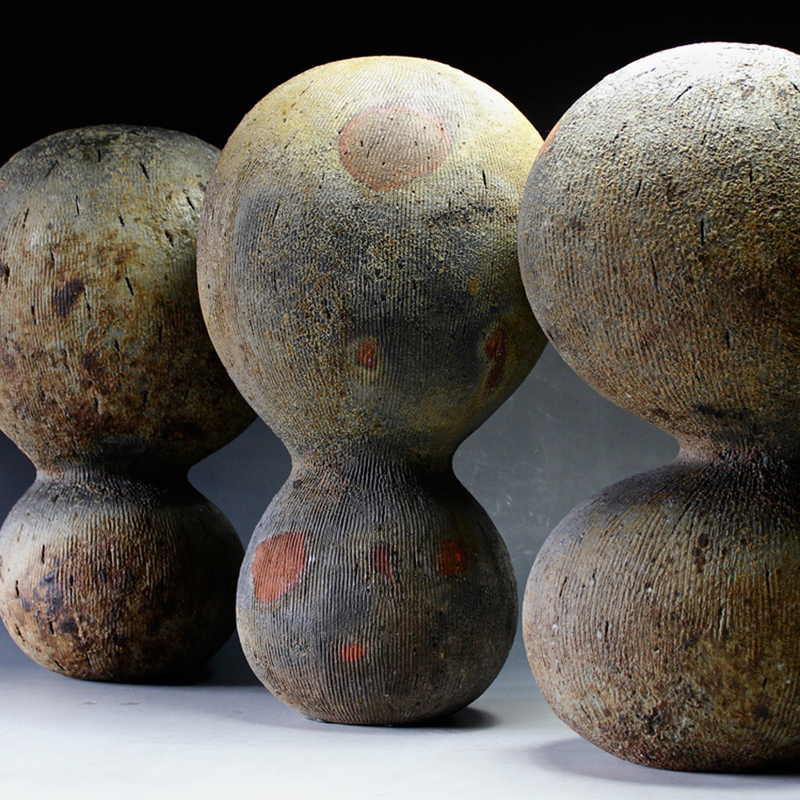 This unique workshop Matter Over Mind will focus on the innovative making methods Neil has developed during his career including different ways to support large pieces in progress and the handmade clay tools he uses in his studio practice. Demonstrations will include the making of a variety of objects from large and small abstract sculptural forms to thrown and altered bowls, plates and cups for everyday use. A visual presentation showing the underlying threads of Neil’s development will punctuate the day. Neil is renowned for his organic, primal, rock-like surfaces to his sculptures which are actually derived from melting his local rocks. His pieces seem like encapsulated homages to abstract landscapes that can be intuited rather than illustrated. His motivation and dedication to “…seeking an artist’s communion with the deep geophysical past” is tangible in his finished pieces. Neil is looking forward to a lively exchange about making, firing and living a life around clay and pots. All welcome, including non-ceramists and complete beginners, for this inspiring demonstration workshop! 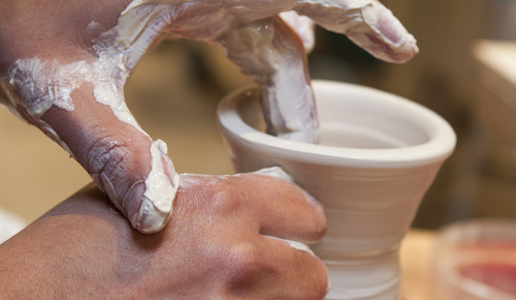 Book in BEFORE June 10 to get the early bird price of $230 (after June 10 the price goes up to $245) or $207 for current Slow Clay students or those with a student card. Book through our website or call 03 99437844. Neil Hoffmann lives and works in Reedy Marsh Tasmania, where he has worked with clay and fire for over thirty years. Initially producing gas-fired tableware, Neil now fires wood burning kilns for the making of both sculptural and functional objects. Dolerite rock from his immediate forested surrounds is frequently incorporated into fired works. Between 1996 and 2001 Neil convened the Claydown Tasmania Summer School programs at his Reedy Marsh Pottery and in 2001 was awarded a MFAD from the University of Tasmania. In 2011 Neil convened the international Woodfire Tasmania event centered in his hometown Deloraine. Since 2009 Neil’s work has been represented in the Australian Art collection at the National Gallery of Australia in Canberra. Subscribe to our Monthly newsletter to stay informed of when classes become available.